Now that we are all grown up and can afford these fancy toys, shouldn’t our retro systems grow up too? With the RetroN 5, you will now be able to play all of your favorite games from nine different systems on one convenient console in full HD glory. 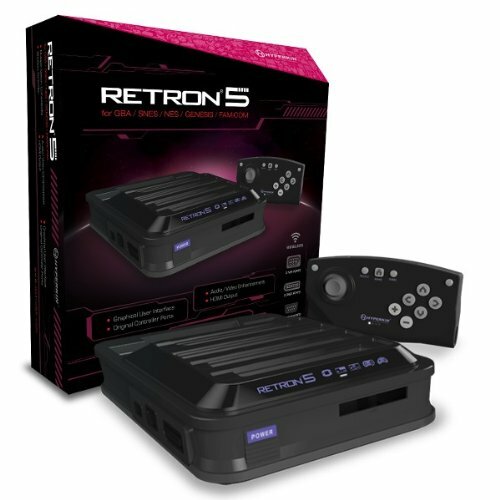 Relive your childhood, or introduce a new generation of gamers to the timeless classics that inspired the entire gaming industry with the RetroN 5. The RetroN 5 allows you to play your favorite NES, SNES, Super Famicom, Genesis, Mega Drive, Famicom, Game Boy, Game Boy Color, and GBA cartridges on one system.